In other words, we can talk all we want to our dogs but the only words they actually understand is their name. Of course, those of us who actually share our lives with dogs know otherwise. 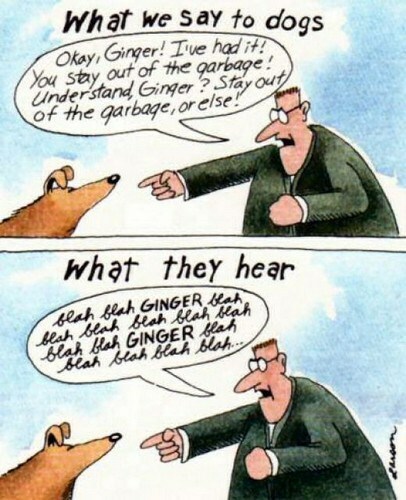 But I think I get now what Gary Larson was really communicating in that cartoon: dogs understand what they need to understand – not what we tell them to. And it goes the other way, too. Well, as the saying goes, all good things must come to an end. On May 15th, the day came when I had to bid goodbye to my beloved old dog, Soda. Thankfully, it all unfolded in less than 24 hours and when the end came, the decision was simple…but not easy. He’s right. 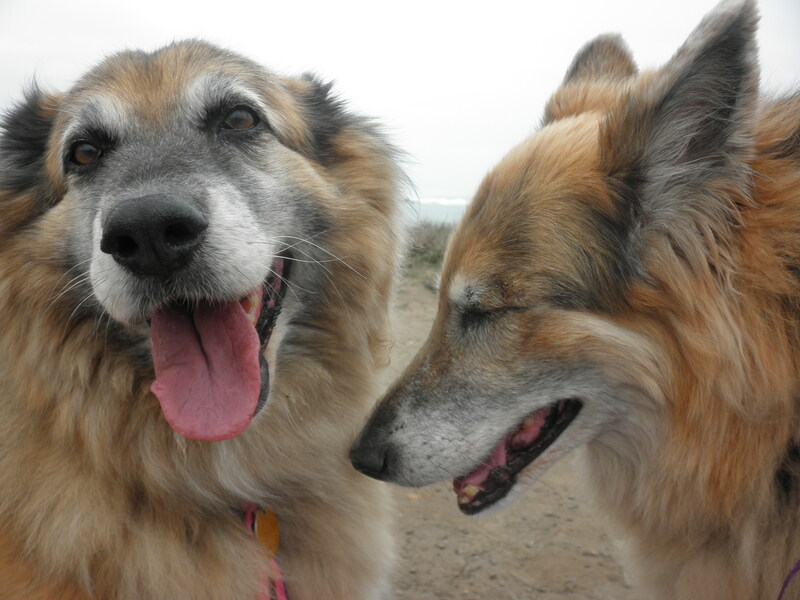 I had Sable and Soda for a total of seventeen years. 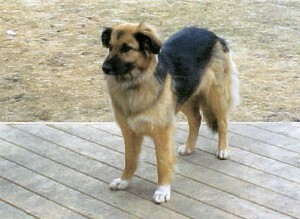 John and I got Sable when she was just a seven week old puppy. Her third birthday was the day of John’s funeral. Six months later, Soda came into my life. I can still remember the moment I met her. Then I looked down – and there, looking up at me was the furry face of a dog that, at first glance, looked an awful lot like Sable. Soda, a year at the time, was also a long-haired Shepherd cross with similar colouring and markings to Sable. One year old Soda (2001)! So began our ten-year journey together; our little wolf-pack of three. Sable passed away in 2011 at the age of thirteen and a half. Soda was eleven. Shortly afterwards, I gave a tribute at Nora’s memorial service and mentioned the gift of Soda that Nora had given me. Afterwards, a woman came up and introduced herself as Soda’s previous owner. She’d found Soda as a puppy, abandoned by the side of the road near their acreage. The family had kept Soda for a year but it hadn’t worked out, so Nora had stepped in to help find Soda a new home. This early abandonment and not knowing where her next meal was going to come from likely explains Soda’s, er, tendency to overeat. 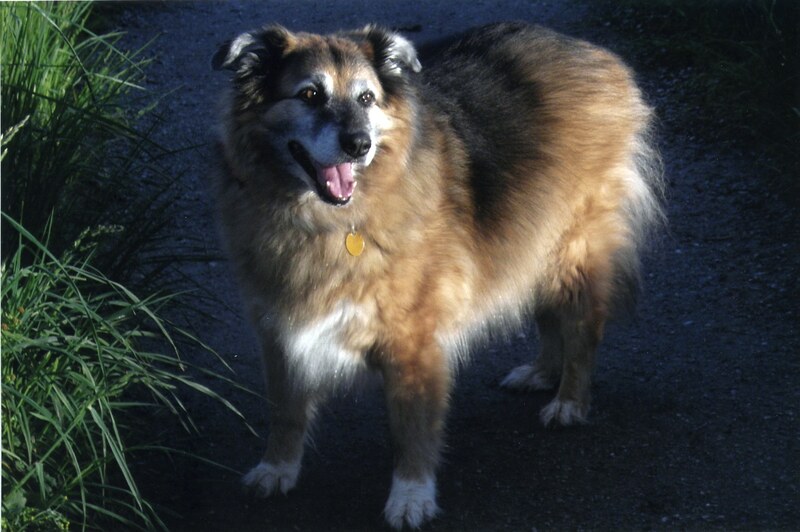 Whereas Sable was the canine version of a streamlined supermodel, Soda was the sturdy farm girl…built to last but not for speed. But she was adorable! In her later years, she looked like a giant stuffed teddy bear waddling along. People of all ages couldn’t resist coming up and petting her. She was cute and she knew it – and she called the shots when Sable was no longer around to keep her in line. Soda could give you the stink eye like nobody’s business; she was stubborn. If Soda was in the car and didn’t want to get out, she didn’t get out. If Soda didn’t want to finish crossing the road, the worst thing I could do was try and force her to. A police car had to stop in the middle of the street once, patiently waiting until I convinced Soda that treats were waiting on the other side. She was also very suspicious. She would have nothing to do with communal water dishes that non-pack pooches might have drank from. She’d either wait for a river or lake or until she got home again. Soda was the timekeeper in the family. She kept me on a strict schedule. Breakfast was at 10:30 a.m.; dinner was at 5 p.m. and a game of search was at 7 p.m. – I would hide treats around the yard and house and then she would race around and find them. Walk times, at least, were negotiable depending on the time of year and the weather. As long as a walk happened at some point every day, peace reigned. In the last few years, she’d really slowed down so the actual walk was far less important than getting in the car and driving to the walk. 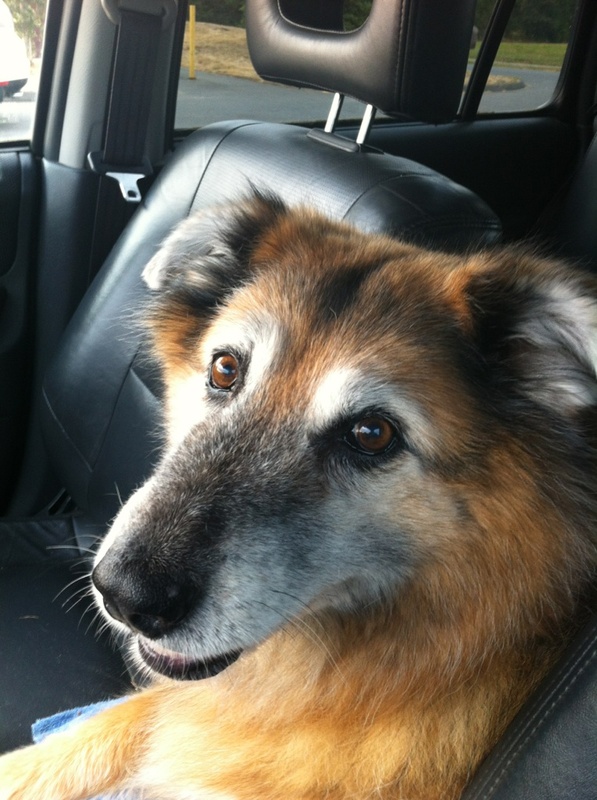 Just like a human senior, Soda loved to get out and see new things and meet new people. In fact, she refused to walk around her own neighbourhood…been there, done that; peed there, sniffed that. As I’ve mentioned before, Soda also taught me the importance of a healthy work/life balance. As meaningful and enjoyable as my work is, it’s not everything. A walk in the sunshine, a hike in the woods, a Sunday afternoon drive, a stroll on the beach, wading in the lake, puttering in the garden, eating a good meal and having a delightful mid-afternoon snooze…these are the moments that make a life versus a living. Since my mom had passed away in March, I was concerned about Mother’s Day this year. And yet, when it arrived, I had a fantastic day! I went for brunch with my neighbours and then spent the rest of the day in the garden with Soda. Instead of feeling sad and missing my mom, I was actually really happy and felt her spirit, right there in the garden with Soda and I. It was like I could feel my Mom’s love…the pure kind – without all the complicated human relationship stuff attached. And in light of all that happened in the days to follow, I’m glad I didn’t lose that precious day mourning my Mom – for it turned out to be my last Mother’s Day as Soda’s Mom. Three days later, I woke up sick as a dog. Apparently, I wasn’t the only one. I had coffee with Soda in the garden and she seemed fine. At 10am, I saw her in the sunroom and remember thinking that odd because normally she’d be in the cooler living room with me, where I write. At 11am, I checked on her in the sunroom. She was staring at the wall – and I immediately knew something was wrong. No response. She didn’t even turn her head. “Soda?” I repeated, walking towards her. This time she turned to look at me – but I could tell she didn’t recognize who I was. And that’s when I noticed the fur beside her mouth and all down one side of her neck was soaking wet with slobber. And I realized she’d probably had some sort of seizure. I immediately called the vet and they told me to get her in right away. Even though only a few minutes had passed, I could tell Soda’s memory was already returning – and I didn’t get the feeling she might bite me anymore. After about twenty minutes of trying, Soda was finally able to stand up. Then she went down her little ramp into the backyard and proceeded to charge around, probably fuelled by adrenaline. I managed to get her in the car and off we went to the vet. 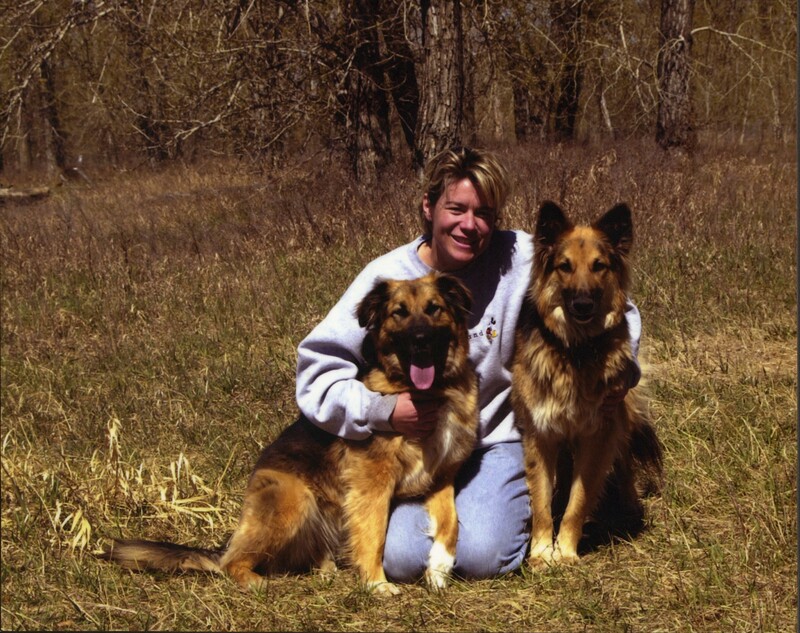 She’d made that mistake with Tara, the dog we had growing up: waiting too long to make the decision to put her down. But when Soda and I got to the vet, they examined her in the car – and she checked out perfectly fine. So home we went and all continued to be fine…until 9 p.m. when the second seizure hit. Only this time, I was right there with her and it was horrible. It started with her smacking her lips together, as if tasting something strange. Within seconds, it looked like she was getting electrocuted. Since Soda’s vet clinic was closed, I called the number for the emergency mobile vet on call in the area. I told the vet who answered the phone what was going on. He went on to say that since she’d fully recovered after her first seizure, she would likely do so again after this one – but that it was important that I record the time of her seizures and how long they lasted. Sure enough, after twenty minutes, Soda recovered from this second seizure. Once she got down the ramp and into the yard, she again proceeded to charge around full of beans. Getting her back up the ramp and into the house, however, took some convincing. We both fell asleep but at 2 a.m. I was awakened to the sound of her smacking her lips. My heart sank. This seizure lasted longer than the previous one and when she was finally able to stand up again, she charged around inside the house. This time, I called the emergency vet clinic downtown, which I may as well own shares in by now. I filled them in on the situation and asked if I should bring Soda in. They told me to wait till morning and take Soda in to her own vet, since they couldn’t get blood test results back any sooner in the middle of the night anyway. It was a very long night, waiting for her regular vet clinic to open at 8:30 a.m.. And unfortunately, she had two more seizures, the final one lasting seven minutes. Although she may not have felt the actual seizures, I could tell they were taking their toll. She was exhausted. At 8:31 a.m., I called the clinic and told them I was coming in. My neighbour helped me get her into the car. This time, I was pretty sure it would be a one-way trip for Soda. Unfortunately, her blood test showed normal, which meant the seizures were not caused by a metabolic issue – which could’ve been managed by medication. Instead, Soda’s seizures were likely caused by something going on in her brain, such as a tumour or cyst. And although it was absolutely heartbreaking to hold Soda’s little white-tipped paw as she took her last breath, it was a heck of a lot more humane than the alternative. It was also a perfect example of how although we are usually given choices in life, more often than not there is one choice that is a considerably better one to make than all the rest. Now, so as not to drive you, my poor reader, to the nearest bridge to jump off after reading yet another sad story from yours truly, I will instead end this blog on a happy note…and no, I did not run out and get a puppy. 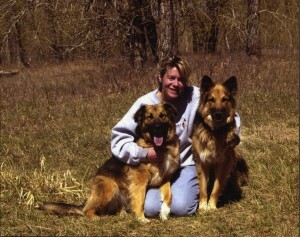 I’m still recovering from puppy-parenting Sable 17 years ago! But the week after Soda passed away, I got a call from the vet telling me that Soda’s urn was ready to be picked up. So, with heavy heart, I drove to the clinic. And when the gal at the front desk returned from the back room with it in her hands, I broke into a smile. Sable’s urn is tall and slim. Then I went to my friend’s place for dinner and I took Soda’s urn in with me to show the gang. Six year old Ella eyed the urn but didn’t say anything. Half an hour later, we were all at the dinner table, chatting and eating. But, of course, there’s so much more than ashes left behind after we lose a person, pet or relationship…there’s always the memories. I love it! You could see the wheels turning in Ella’s little head trying to figure out the idea of what was in the urn. I am glad she was comfortable enough to ask. 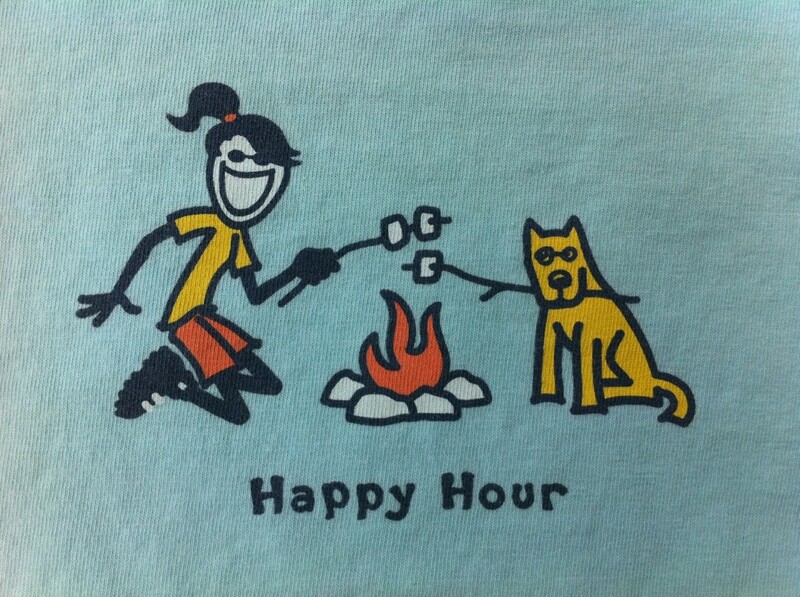 I can’t wait to see the t-shirt! This was such a good story and the t-shirt is perfect! Soda was so fortunate that she found her furever home with someone as special as you Maryanne. Now, Sable, Mama Pope, and Soda are hanging out together and getting into all sorts of shenanigans! Way to go MA. Tears first thing this morning. I remember my first introduction to Soda when you got her. Memories. Yes, it seems it is the end of an era. This year has been dubbed as a year of new beginnings. Let it be so. Now on to finishing up packing so we can say goodbye to the old and look forward to the new.